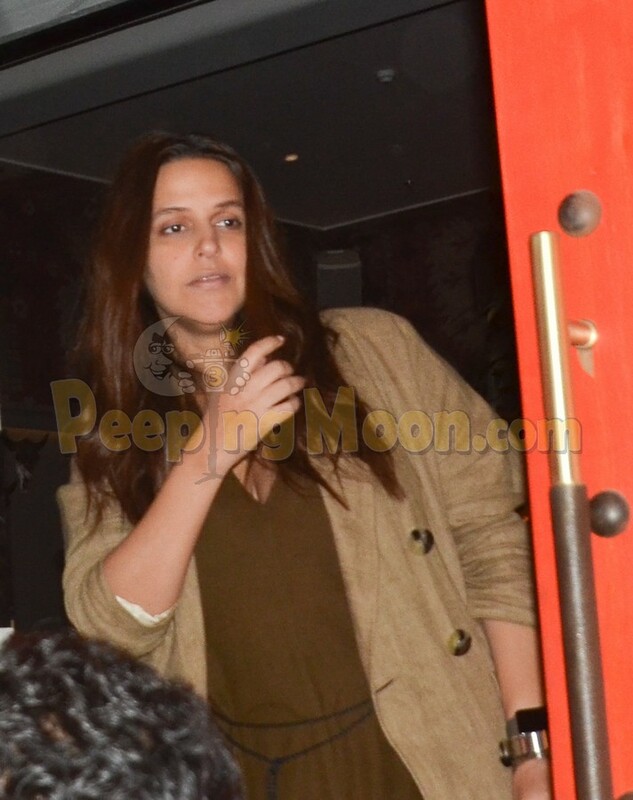 Best friends Karan Johar, Shweta Bachchan Nanda, and Neha Dhupia were papped by our lensmen in the city as they exited a restaurant together. 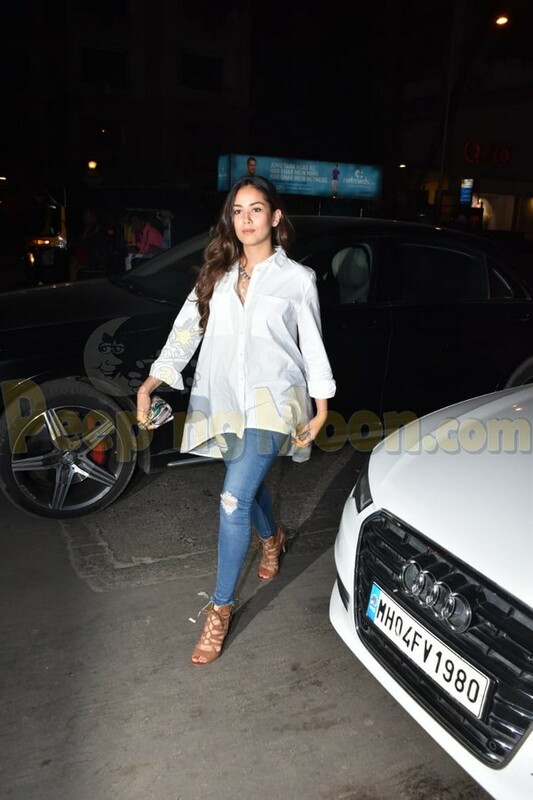 Mira Rajput Kapoor was spotted in the evening outside a plush cafe. 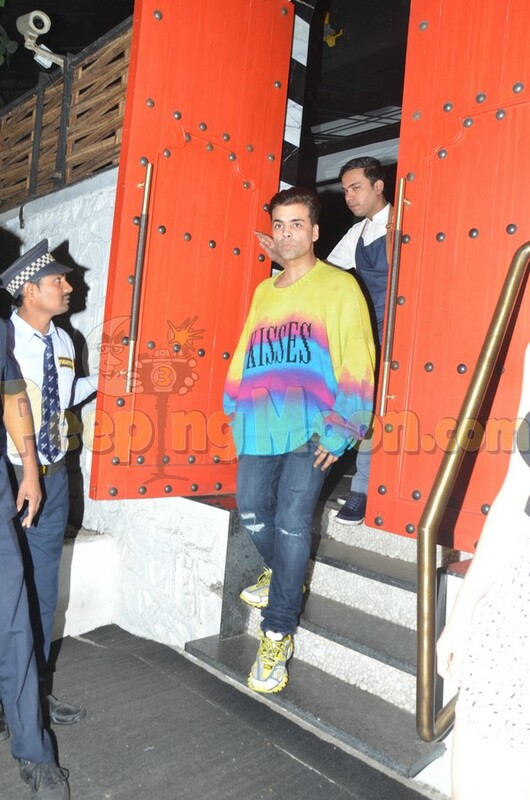 Karan wore a multicolored oversized tee and jeans for the evening. 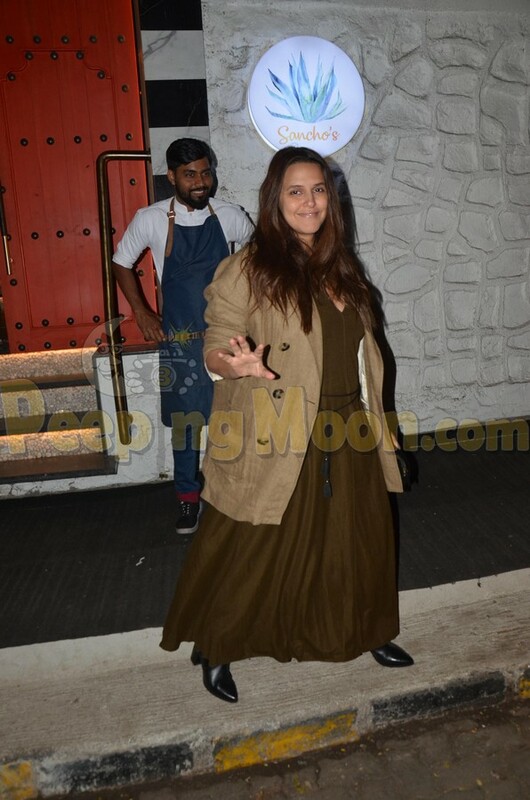 Neha wore a brown oversized outfit with a jacket. Shweta kept it simple and ethnic with a white kurti and brown stole. Mira looked smart in a sparkling white shirt and ripped jeans.